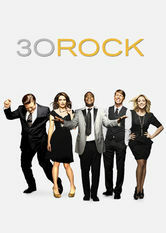 30 Rock (2006-2012) on Netflix USA. Check worldwide Netflix availability! If 30 Rock isn't available in your country, or you are visiting a country where it isn't, there is still a way to watch it! This smartly crafted sitcom follows Liz Lemon, an unlucky-in-love New Yorker who heads up a ragtag team of writers on a fictional NBC variety show. A TV writer juggles a lunatic cast and crew and an arrogant boss. Don't ask IF she'll lose her mind. Ask when.